Local program support teams for Open Deliver in Pakistan and Uganda can make the iteration of educational content a normal part of their workflow once the functionality of the delivery system itself is validated. Innovative organizations see the opportunities presented by technology to plug health education and delivery gaps. But the drive must come from local leaders. 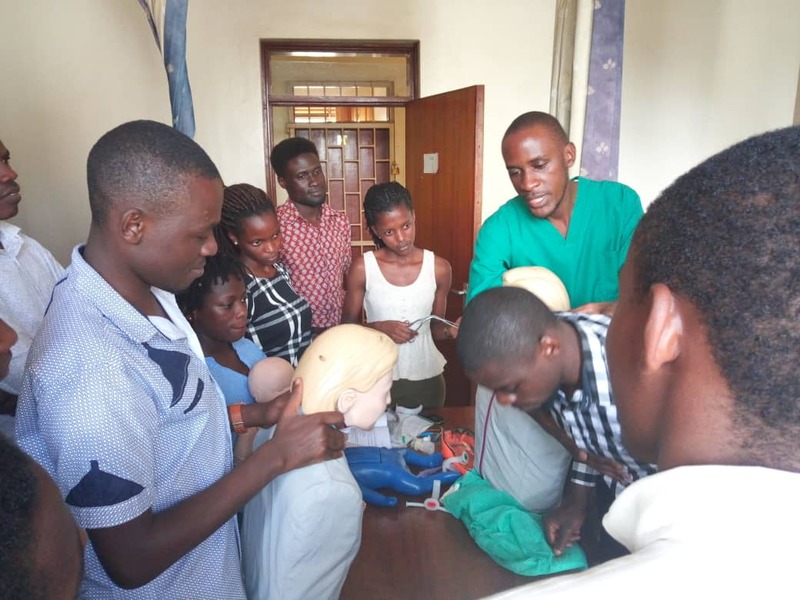 Those of us working on frontline health worker education programs have long recognized the potential of information and communication technology (ICT) to address the problems caused by the high costs of medical training. These costs leave many frontline health workers without adequate training in low-resource and fragile environments, and many communities without access to high-quality health services. Many frontline health worker training programs are fragmented and uncoordinated. Many digital health education programs duplicate technology and content development, inefficiently using scarce funds. Development programs have often underestimated the pace and uptake of technological innovation in low- and middle-income countries. Programs often develop digital health education tools without government ownership in mind. The mPowering Frontline Health Workers initiative is determined to change the status quo, placing local government ownership at the center of programs—a crucial ingredient for long term sustainability. Sponsoring agencies such as USAID increasingly recognize that aid is more likely to catalyze sustained development when it reinforces a country’s own development priorities (country ownership) and systems. Health ministries are often keen to have more direct ownership over the training resources used with their health workers and want the ability to manage, validate, and approve resources according to their needs, priorities, and policies. One of the core tenets of mPowering’s work is working in tandem with local governments and ministries of health and other partners. Through USAID support, mPowering developed Open Deliver, a sustainable digital learning platform and process for local governments and ministries to manage basic, digital education and training resources on a national scale. Open Deliver enables the creation of a national digital content library, integrated with a learning management system to manage training courses and curriculums, and delivers those courses to the health worker via a mobile app. Local frontline health worker training implementers can use Open Deliver to support mentoring and supportive supervision or in a blended learning program, using in-person and mobile education in a complementary approach where traditional in-person education, by itself, is unaffordable, inadequate, or difficult to implement. In Uganda, local teams are creating educational modules related to treating trauma clients in emergency situations. In Pakistan a diverse partnership is integrating educational content with data collection to better address nutritional health awareness in rural areas. The local teams developed or adapted contextually relevant multimedia content for health workers, while working within the guidance and constraints set by local authorities. A heightened sense of local ownership encourages health worker curriculum development to take place locally, reducing dependence on international organizations and boosting local industry. When trained and in control of the process, local partners are able to respond quickly to any challenges, adapting the technology as necessary. Not only is OpenDeliver locally developed, but it enables users to manage their own learning. As health workers progress through the mobile training courses, Open Deliver collects data and produces analytics related to the health worker’s progress and knowledge, also providing decision-makers with statistics on the most effective strategies. Mobile technology is one of the most transformative technologies of the last century. At mPowering we believe that this can be used for a force of good, to address challenges in the health education system. To learn more about how mPowering is leveraging mobile technology to improve the performance of frontline health workers around the world, please visit http://mpoweringhealth.org/.